Are your vehicles well maintained? At North City Rentals we service and maintain all our vehicles to the highest standard to ensure our customers safety is maintain at all times. 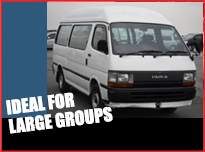 We have a range of cars from budget cars starting as low as $35.00 per day, late model 2010 cars starting at $65.00 per day, 10 seater vans from $145.00 per day and trailers from $30.00 per day. We accept credit cards or cash. Can I rent a car with on a restricted licence? 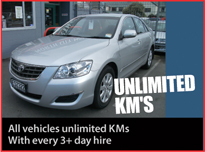 To rent a vehicle from North City Rentals you must have a full drivers licence. Over the age of 25 year.